You want to communicate direct with your customer database, or acquire new leads. You want it to do it quickly and you have a limited budget. The answer: a self mailer. 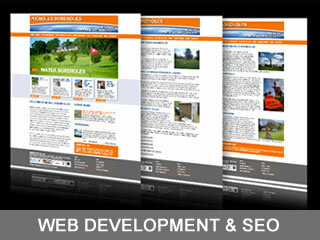 Self mailers come in a wide variety of shapes, sizes and formats. They can be as simple as a postcard, large or small, or as complex as an envelope that ‘zips’ open to reveal several direct mail elements such as a letter, leaflet, money off voucher … even 3D or ‘popup’ pieces. In the US, and among direct marketing professionals, a letter-like self mailer is often called a ‘bangtail’, a format familiar to most of people as a pay slip, which simply unzips and opens out. Self mailers are often assumed to be the preserve of huge companies with deep pockets, mainly because we associate them with communications from financial services companies or voucher mailings from supermarkets. In fact, depending on the print run, self mailers can be almost as cost effective per unit as a postcard and the minimum print quantity can be as little as 250. But why choose a post card or self mailer for your marketing message, or part of your campaign? Being direct marketing specialists at Two Lizards, we believe self mailers are an underrated and underused medium with three important advantages. Compared with a full scale mailing (say, letter, leaflet and application in an envelope) they are relatively quick to produce. If you have an offer or a new product or service, you can get your message in front of potential customers PDQ. Unlike emailings the postcard or self mailer message is more difficult to ignore. 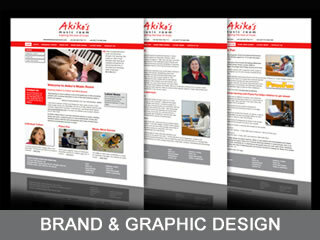 The headline or offer can be on both sides of the postcard or the self mailer envelope. It is unignorably in front of your potential client on their mat, their table, their desk. It may be binned in minutes, even seconds, but the message has been read. It can’t be left unopened or spam filtered. It is long enough to tell your story. For complex, multi faceted or technical products, nothing beats a full size direct mail pack. 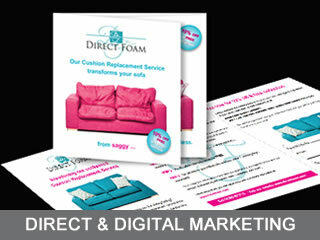 But for many products or services, a self mailer gives plenty of space to explain, tempt and close the sale. It can be highly visual, include changes of pace (you don’t need to restrict yourself to a single communication inside), or several elements such as money-off vouchers, member-get-member offers and testimonials from satisfied clients. And, of course, a self mailer, postcard or bangtail gives you all the other benefits of direct marketing including the ability to closely target your communication, analyse its effectiveness, profile those who have responded to find more, similar customers, work out your return on investment (ROI) and to build on successful elements by fine tuning and rolling your self mailer out to more and bigger lists. Is a self mailer right for your business? Whether you want to acquire more clients, get repeat business from your existing customer base, introduce new products or services or strengthen an emailing campaign with complementary, printed messages, the answer is yes. With size and shape restrictions, technicalities such as the width of margins that need to be allowed for gumming or perforation and other traps for the unwary, it pays to work with a specialist. At Two Lizards, our 30+ years of direct mail experience means you are in safe hands, with a company that will not only help you make the most creative use of this exciting medium, but will ensure every element of your self mailer is meticulously executed, from first ideas to despatch. To find out more or to discuss your thoughts or requirements, please email us or call us now on 01403 731028.